It all started with George Winston. My parents never pushed me into piano lessons. Really, they never pushed me into anything, which I appreciated. They encouraged my sisters and me to pick activities that we liked, but they weren’t the sort of parents that had this list to check off — get kids into something musical, something athletic, something cultural. Make sure they practice 2 hours a day, etc…. No, it was my choice, and as soon I heard George Winston’s Canon in D, I made it. I was going to play that song someday. We didn’t even own a piano. We didn’t even own a keyboard. So not only did I have to ask Mom and Dad to enroll me in piano lessons, I also had to ask them for something to practice on. And what did I get for Christmas that year? A 3-foot long Yamaha and a stand to put it on. Not quite a Steinway. But I’d take it — I had to start somewhere. Have you ever tried out a beginner piano book? If you’re lucky, by the end of it, you’ll know how to play Hot Cross Buns. After the second level — maybe Ode to Joy. An hour or more a day of practicing for a whole year, and that’s where I was. “You’re really talented, Megan,” my teacher told me, “one of my best students.” Because I can play five songs? Two chords? At year two, my parents gave into my begging. This piano thing — no matter how challenging — was here to stay, so they might as well get me something that sounds good too. They even cleared out a spot in Dad’s office for the brand new Baldwin so I had some privacy to work. And I did. I worked up to being able to play those “easy piano” books of popular songs. The compositions didn’t contain much besides the melody, but I could recognize and relate to the music now, and that motivated me. It wasn’t until fifth grade, 3 1/2 years after starting, that I could take a more difficult piece and learn it. To my disappointment, good old Mr. Winston didn’t publish his music, but that was fine, I just needed to play the song. The version by Robert Schultz seemed pretty close to what I’d heard — complex and difficult — but close. I picked up the sheet music, bound in a sleek, black cover, and took it home to practice. For the next six months, I worked every night. I mastered the piece by the beginning of sixth grade. A few years later, I even played it for my final high school recital. I’d moved on to some more challenging pieces by then, but the song just seemed too fitting. The round of applause following my performance left me in tears. What could be better? When I went off to college, I gave up playing. Back home for a break or the holidays, I’d often sit down at that Baldwin for a little while, but nothing regular. I played even less after graduation when I moved into my own townhouse. During my third year out working in the “real world,” my company asked if anyone was interested in playing some background music for an upcoming event. The request struck me — I missed it terribly. My childhood home was only 20 minutes away, so I could go over there a few days a week to practice, and what a great way to start up again. I volunteered, and headed into the music store for some new material. There, on the front display racks of the store, lay an anthology of George Winston songs — just published. Hands trembling, I picked up the shiny, blue book. Could it be in here? I opened the cover, turned the pages and… Variations on the Kanon by Pachelbel. I not only purchased the book of music that day, I also purchased a small piano. Within hours of the most impulsive decision I’d ever made, I could perform the song that had inspired me to start playing twenty years earlier. Not all dreams, not all goals, are simply a result of working hard. I could’ve decided in second grade that I wanted to be a quarterback in the NFL — anyone who has seen me throw a football can tell you how unrealistic that goal would’ve been. I once pondered being a singer, playing my own background music, but my mom walked in on me trying that one out early on and quickly put the idea to rest. “Thank God you can play the piano,” were her exact words. (As I watch people on American Idol get their first round of criticism, I’m thankful my mom was honest with me :)). But some dreams… many dreams… can be reached — if you just put your mind to it. You’re going to face setbacks, you’re going to be challenged on your path, so much so that you want to give up. But keep going. No matter how long the road to your destination is, there’s only one way to know if you can get there. 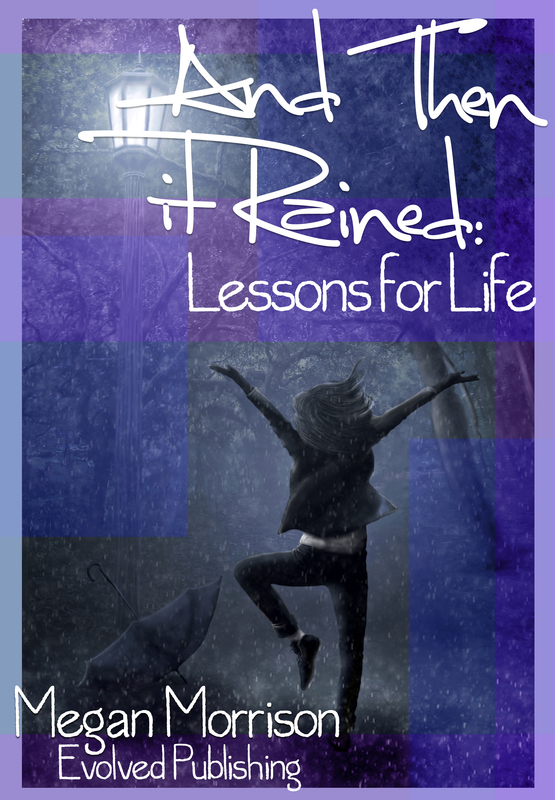 And on that note, I am thrilled to announce to you the official release date for And Then It Rained: Lessons for Life. Now if your darned editor would just get off his keester! I am so happy for you! I just read this, & coming from a gal who could use a ton of encouragement right now, you hit it square on the head! I can’t wait to read the whole thing! You’re amazing! Thanks Michelle – and thanks so much for the post. It’s messages like this that really remind me why I wrote the book – I’m so excited to get it out there next weekend for everyone to read!